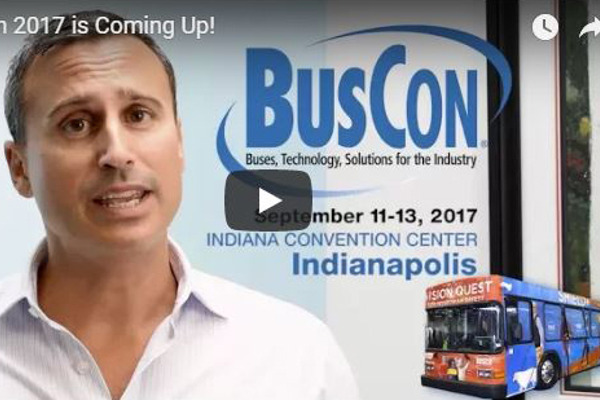 See below for all you need to know to exhibit at BusCon 2019! Complete the above space contract, sign it, attach your 50% deposit. Return it by Fax to (310) 533-2511, or by email to [email protected] with subject line BusCon 2019 or by mail to BusCon, 3520 Challenger St. Torrance, CA 90503. Questions? Please contact James Blue, General Manager, Bus & Rail Group at [email protected] or call (310) 533-2449. Exhibit space comes standard with drape, a 7”x44”company ID sign and 2 exhibitor badges per 10’x10’ (10 max). Mandatory Fees: $295 Exhibitor Entertainment Fee will be charged for all exhibit spaces. Carpet is mandatory and is free for all contracts received by January, 31, 2019. On February 1, 2019 and thereafter, a carpet fee of $1.25 per square foot will be charged. Please indicate your desired booth size(s) (example 20’x30’). Booth placement on the 2019 floorplan will be assigned according to requested sizes at a later date. Initial exhibit assignments will be made based on a priority system. The priority deadline is December 1, 2018. 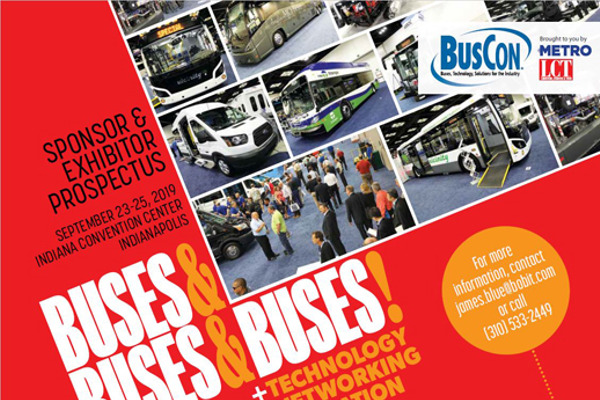 Assignments are based on past exhibiting participation at BusCon. After the December 1 deadline, exhibit assignments will be made on a first-come first-served basis. Show management cannot guarantee that you will be allocated one of your indicated selections, every effort will be made to assign your preference or a similar space. If you are displaying a vehicle you must purchase space that allows for a minimum 2’ margin on all four sides of the vehicle. Doors may not open into the aisle or breach the border of your contracted space when fully extended. Exhibitors must place all vehicles at least 5’ in from the perimeter of your booth. Please do not position any vehicle on the border of your booth space. These restrictions are designed to prevent blocking and obstructing the sightline of your neighbor. Please refer to the Vehicle Specification Form in the BusCon Service Kit for additional important regulations.